The new year has hit and with this comes the colder weather that batters your skin making it feel dry, sensitive and irritated. 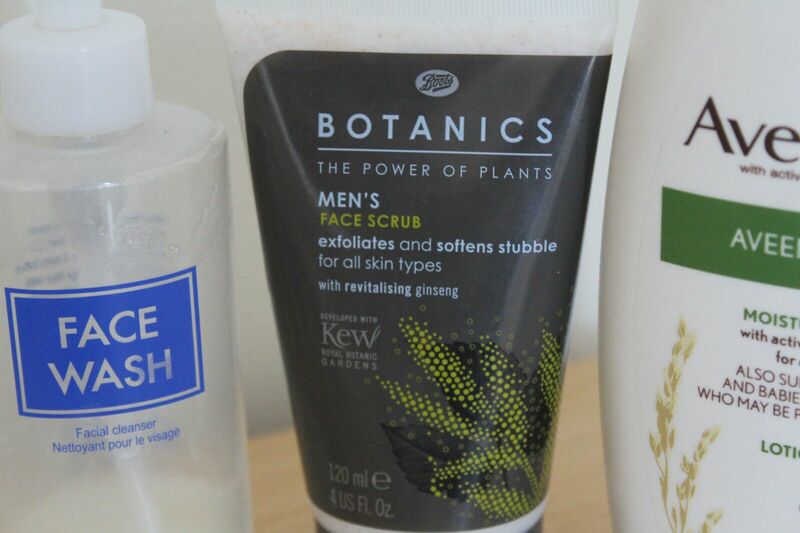 Which leaves you scrambling for skin care products to get your skin feeling back to its usual self. 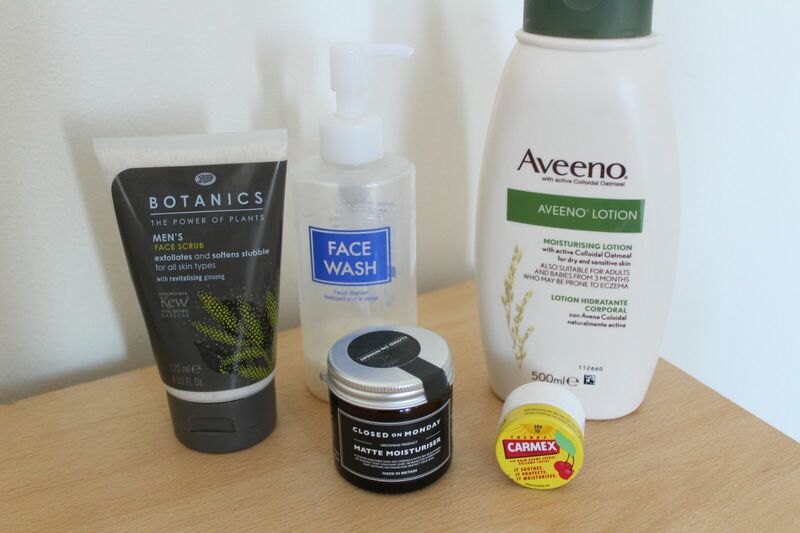 Today I'm going to share the products that I use on a regular basis to help me combat this difficult time of year. The DHC face wash is a dry skin cleanser that specifically combats dry skin and sensitivity so it is perfect for this weather. It has a PH level that is close to your natural complexion, helps keep your skin's defences against irritants and removes dirt and debris. It's easy to apply and leaves my face feeling soft and non-greasy. The Boots Botanics Face Scrub is a gritty scrub that I have used over the last few years. Containing Walnutt Shell and Gensing, it helps keep skin protected against fatigue and whilst cleaning your pores. This is my surprise product as I wasn't expecting much from the Boots range but it has become a staple of my routine that I use between 2 - 3 times a week. I notice a reduced amount of black heads on my face. 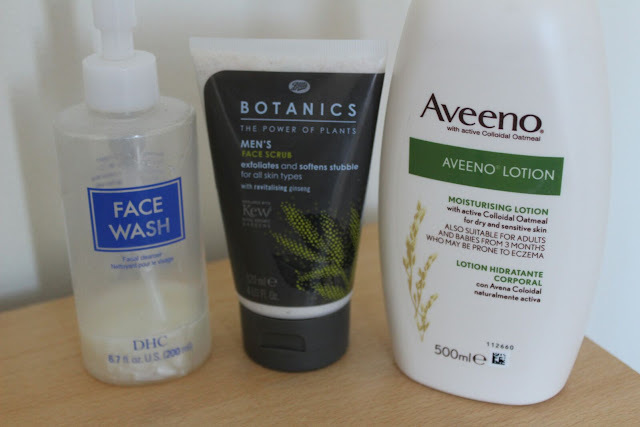 I've been using the Matte Moisturiser for the couple of months and have already reviewed it here. I use this morning and night and I've not had a single complaint in regards to this. It has felt my face feeling smooth and free from dryness. Carmax Lip Balms are essential for this weather. Coming in a range of flavours, they are the perfect product to combat dry, cracked lips. I use it the day after I start to feel pain and irritation, a couple of times a day and usually results in my lips feeling back to normal the next day. This is my absolute favourite skincare product, I go through a 500ml bottle a month and it is an all year product. I suffer from Eczema so it's important for me to find a skin lotion that will clear this up and keep my skin feeling soft and smooth. It's easily absorbed into the skin and despite it being thick in texture, it's coverage is second to none. Containing Colloidal Oats, it helps prevent your skin losing water and provides a natural barrier of protection. It's a product I would definitely recommend to anyone who suffers from Eczema. So there you have it, here's my four go to product to help battle the cold weather. What are the products that you can't be without during winter? I really couldn't get on with the foaming mesh at all, but I can see it's benefits. Yea I'd be lost without the Aveeno, surprisingly enough it was an old GP that recommended it as it's meant to be good for Asian skin.